Early 2018 sees the British label Edition Records release the Finnish trumpeter Verneri Pohjola’s and drummer Mika Kallio’s duo album Animal Image. The mystical and atmospheric compositions by the trumpet phenomenon and the percussion virtuoso are based on their improvised soundtrack on director Perttu Saksa’s 2017 experimental film of the same name. In March the duo tours Finland extensively, partly on a double bill with a French trio Les Voyageurs de l’Espace. 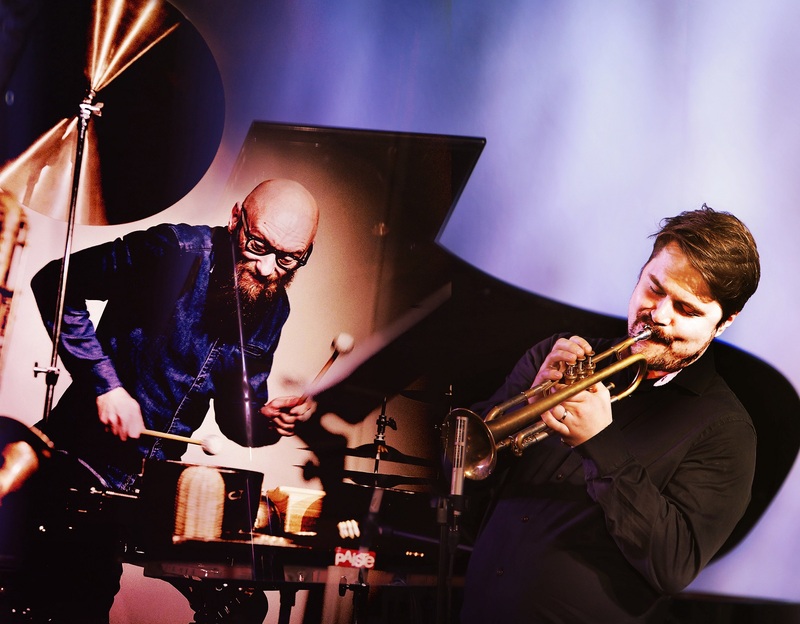 This is the 30th Finnish and French tour that the Finnish Jazz Federation and the agency Vapaat äänet (The Free Voice & Sounds) co-produce together since 1996. Animal Image (2017) is an experimental film project by Perttu Saksa. In Saksa’s 30-minute documentary the music is a wordless language between man and animal, an instinctive stream of sound weaving a web around the visual images. The film portrays the nature writer and photographer Heikki Willamo as he embarks on his journey towards attempting to capture the essence of an animal in an image. The images come alive with improvised music performed by Verneri Pohjola and Mika Kallio. The Animal Image album, full of Pohjola’s and Kallio’s captivating music, comes out on the British label Edition Records in the beginning of 2018. Edition Records also released Pohjola’s previous recording Pekka, where Kallio also mastered the beat section. The duo will go on tour in March 2018, playing and improvising the animalistic imagery live. Vapaat äänet agency (The Free Voices & Sounds) has produced tours for Finnish and French improvising artists since 1996. Vapaat äänet takes Pohjola & Kallio to eight concerts around Finland in March 3rd – 12th , and on March 13th – 20th the French vocal trio Les Voyageurs de l’Espace will join them for another seven shows. Les Voyageurs de l’Espace (Space Travellers) is a theatrical and poetic sound adventure, where language isn’t the main asset of human voice and the main basis of interaction. The band travels through the outer space in playful and approachable tones. Vocalist Claudia Solal’s, cellist Didier Petit’s and percussionist Philippe Foch’s self-titled album Les Voyageurs de l’Espace received the acclaimed Grand Prix de l’Académie Charles Cros prize in November 2017. Fri 09/03 19:00 Seinäjoki, ravintola Alma / Jazzoikoon!